The modern church, much like the church at Corinth and others in the New Testament, is incredibly diverse. Differences can often be the cause of disagreement and conflict, but in this Leader Reader Clifton Kirkpatrick highlights the positive aspects of diversity and reminds us that difference does not always amount to discord. 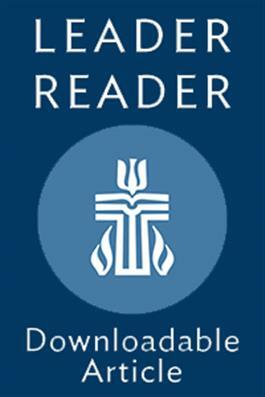 Kirkpatrick includes an overview of the core values that are shared by members of the Presbyterian Church.